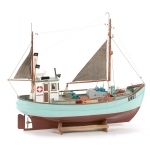 Once you've built a few models, you'll probably find the sets in this category well within reach. 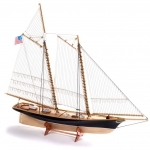 Some of the more detailed work on these models, however, is left up to you. 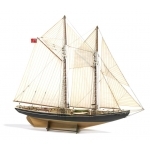 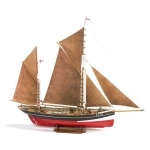 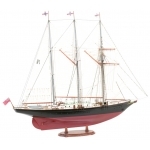 1:20 Boulogne Etaples This original design can be seen in many ports along the French Channel..
1:30 Norden The Norden is a typical coaster of the kind which was earlier very commonly used ..
1:67 Will Everard This 80 ton barque was built for F.T. 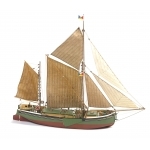 Everard & Sons in Great Yarmouth ..
1:50 Marie Jeanne Built as the 19th Century was drawing to a close. 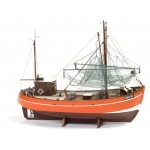 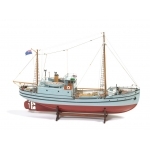 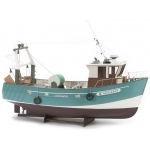 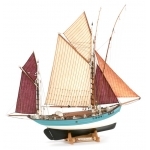 This is a "dundee" of 50-..
1:33 CUX 87 Krabbenkutter The Cux 87 is a typical German trawler from the Deutsche Krabbenkut..
1:33 Mary Ann The Mary Ann is the first model produced by Billing Boats in 1958. 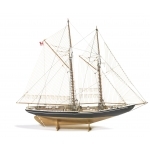 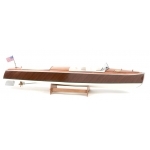 It has been ..
1:65 Bluenose The schooner Bluenose has a very special place in the history of navigation and..
1:100 Bluenose II The schooner Bluenose has a very special place in the history of navigation..
1:72 Americas Cup America 1850-On the urging of the New York Yacht Club to build a fast saili..
1:75 Sir Winston Churchill Three Mast Topsail Schooner 'SIR WINSTON CHURCHILL' The Schooner w..
1:15 Phantom Runabout A Classic American runabout from the mid-1920s. 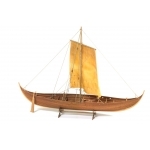 This type of boat was m..
1:25 Roar Ege - Viking Longboat This Viking ship, dating from about 1000 A.D. was found in 19..
1:50 FD10 Yawl A typical Danish seiner, with a gross tonnage of 63.43 and built in 1929/30 at..
1:50 St. Canute Built in 1931 at the Fredderikshavn Shipyard in Denmark. 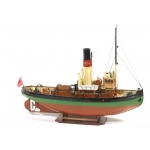 St. Canute sailed fo..
1:72 R.C.M.P. 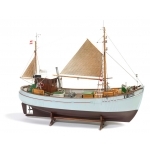 St. Roch The St. Roch was built at the Burrard Dry Dock in North Vancouver in 1..